All About Doors & Windows is a family owned and operated business located in Miami, Florida. We specialize in the sales and installation of all types of doors, wood, steel, fiberglass, impact windows, and more. We stand apart from our competition by offering complete, start to finish service. When you buy a door from All About Doors & Windows, we provide sales, installation, finish and hardware. we handle all types of Sliding Barn Door Hardware for Doors from 50 lbs to 500 lbs. Whether you are looking for rolling door hardware, a tracking system for a barn door or sliding door hardware you have found the right source. 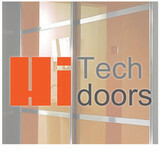 Residential projects are our specialty but our hardware can also be use for commercial doors. Shop with confidence and if you have questions call us Toll Free at 1-800-759-9895 and we will be happy to assist you on your order.All our products are built to last plus we have the lowest prices, you wont find a better deal in barnd door hardware anywhere else. At Broward Impact we care about your project, because your project is an extension of us! We bring with us to every project qualities like: In house installation crew, on time deliveries, prompt responsiveness to every need, and quality workmanship with the best pricing we can offer. These qualities are part of our core company values and we insist that every one working with us share them as well. Insurance rates going up or coverage being cancelled? Want to be prepared for hurricane season? Drafty windows wasting energy and money? Well, beautify and strengthen your home with Impact-Resistant Windows and Doors. Broward Impact products meet the strictest codes to help protect your family from wind-borne debris caused by hurricanes. Our impact products also offer effortless, full-time protection from intruders for your family and valuables. The same tough and resilient laminated glass that protects your house against nature also protects it against man-made threats, meaning intruders seeking entrance into your home. Live by a busy street or near an airport? Our impact windows and doors block out 30% more noise than regular windows and doors and also blocks out 99% of UV rays that can fade your furniture, carpets, and draperies. We offer direct wholesale products to the general public at unheard of pricing, cash and carry, or the complete process including installation so call us TODAY for your free estimate! Gruppo In Casa is an Italian company that provides the highest quality of 100% Italian-made doors, kitchens and other home furnishings. 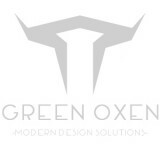 Based in Miami, FL we are capable of supplying the widest variety of high-end home products at a national level. In partnership with Door Arreda & ZG Group, Gruppo In Casa has made it its mission to lead the latest trends in contemporary design & technology with our exceptional home products. Automated Home Services is an established, full service company of trained and experienced individuals, licensed and insured, ready to provide installations and garage door service for all your residential and commercial needs. <a rel="nofollow" target="_blank" href="https://miami-unlocking-services.quick-unlock-dispatcher.net/">https://miami-unlocking-services.quick-unlock-dispatcher.net/</a> Miami Locksmith Services We Offer: LOCKED OUT OF THE TRUNK: If you realized your missing keys turned out to be locked in your trunk, you've got a problem on your hands. But never fear-- Our locksmith professionals are here to save the day when you need it. LASER CUT CAR KEYS: When you need a new set of keys to keep as a spare or to replace your existing keys, your best bet is to contact a local locksmith who can create a laser cut key for you at any time of the day or night. CAR KEY EXTRACTIONS: We know how difficult it is to move or drive a vehicle with a broken key in the ignition or a lock. Our dispatch center in your area will send a skilled auto locksmith technician to your location within minutes of your call. CAR UNLOCKING SERVICES: Locked out of your car? Call us now to for professional lockout services. We'll get the job done right! CAR KEY REPLACEMENT: With some keys, the cracks and corrosion make it obvious that they're about to break. Others don't give any warning at all. We are happy to repair your key no matter how it broke. Please contact us at our 24-hour dispatch center to request assistance. IGNITION REPAIR: Each of the auto locksmith technicians who work for We have many years of education, hands-on training, and experience completing the same type of work with hundreds or thousands of other cars. We also guarantee your complete satisfaction with the quality of our work as well as the products we use for repair or replacement. If you feel we didn't do as well as we could have, don't hesitate to let us know. We will do whatever it takes to make it right. COMMERCIAL SECURITY SYSTEMS: We can also help with automation and remote control of your thermostat, lights and other office equipment. WINDOW LOCK REPAIRS: Is your home in need of new window locks? Our locksmiths at We can help you with your window lock repair or window lock replacement needs. SPARE KEY DUPLICATION: The days of poor service and non-working duplicate keys made at hardware and department stores are over. We are pleased to offer on-site key duplication in the metro area. GM Door Window & Screen is your complete source for the construction and installation of aluminum, glass and screen products. We are a family-owned, home remodeling company in Fort Lauderdale committed to providing the highest level of customer satisfaction. Our team of building professionals take pride in offering personalized service by providing products and building materials from the most trusted brands in the industry. Over the years, we’ve earned a reputation as a leader for residential and commercial remodeling in Broward County. Our team specializes in the installation of doors, windows, shutters, aluminum railings and screen enclosures to keep your home or commercial building safe and looking its best.